Super Bowl in America is like an unofficial holiday. Snack food is on display at all the stores. People are asking you who are you cheering for this year. Parties are held, bars are full and friends and families get together. A few weeks ago I told my husband I wanted to host a party this year. We used to attend a yearly party with friends. I have great memories of those parties. Kids playing, food galore, guys watching the game, and lots of laughter. He agreed to the party and I got started trying to organize my small soiree. I decided to make a turkey and we would have shredded turkey sandwiches. Other food would be brought so I wanted the main dish type food covered. We cleaned the house, made sure we had enough seats, made the food, and got excited. I am not a football fan. I will watch a game more often now in my life since my husband and son are interested in it. My son is 8 and he is going to play for the Seattle Seahawks some day. Just giving everyone fair warning we may may have to brag a lot when that happens. There was something different this year than going to other get together’s or parties. It was hosted at my home. A person with hearing loss can have great anxiety when with a group of people. I used to think this was unique to me but after finding my tribe I have learned I am not alone on this topic. I enjoy socializing with people but that first step out the door going to a social event terrifies me. If it is a home party, a meeting, or even church I feel like I could be physically ill. Knowing when I am in a group of people my hearing for comprehension drops like a rock. I try to answer the most obvious questions but that can often be wrong. I think they asked, “How are you?” I answer, ” I am great how are you doing?” they do a little laugh and then re-say their question which was not what I answered at all. I feel my cheeks burn and I am embarrassed and feel stupid. I probably shouldn’t feel these emotions but I do. I am human and that is what I feel. Being in a group of people, like a Super Bowl party there is laughing, kids yelling, TV is on, a few different conversations going on. It is darn hard to focus on one conversation and follow. Saying all this I had a great time last night. We had enough food I could have fed the whole block. We had a great turnout. We were missing a few due to illness, darn germs. There were a few times I just checked out. I faced the TV and watched the game and was amazed how into the game I got. It was a nail-bitter that is for sure. I was able to escape to my kitchen, or my room for just a few minutes if needed. The Lundquist 1st Annual Super Bowl Party I believe was a success. I hope our guests equally enjoyed the company of friends and fellowship. Next year is already on my calendar. It will be a big deal next year as it is held in Minneapolis. I am excited and so relieved that the night went well. I was cheering for the Falcons but it was a good game and it held your attention until the bitter end. Football, Food, Friends, and some funny commercials was a great end to the weekend. I have a woman’s name that is lying heavy on my heart. I just learned about this woman yesterday. It consumed my thoughts all day. Let me back up and I will explain. I arrived at work yesterday. I am a personal care attendant in a private home. Dr Phil was on the TV when I arrived. I have never been a huge Dr Phil fan but I watch it and more often than not I can get pulled into the episode. Dr Phil had a guest Bethany Storro, a woman who survived having acid thrown into her face. What makes this shocking is Bethany did this to herself. A failed suicide that had to be accompanied by horrible pain. When she realized she wasn’t going to die, and made a huge personal mistake, she said she was attacked. She said someone did this to her, a big mistake. She didn’t point out a certain person but she gave a description. She later retracted her statement and took the blame for the act. She was charged and went to court were fines and time were given to her. This is where the story ends in the newspapers. I researched more on Bethany yesterday and what I read was horrible. She was told to die in these articles. She was called dumb, idiotic, ugly and deserved to die. When did common human decency go out the window. That was the back story, now why this is lying on my heart. Bethany had a speech impediment. I could hear it and thought maybe acid near her mouth might have caused this. Dr Phil did more questions and was very kind with Bethany. It then was brought out. Bethany is hard of hearing. She has a deaf accent. She poured her soul out with Dr Phil that because of her lack of hearing she has always felt like a burden. This brought instant tears to my eyes. She felt like a burden for her lack of hearing. This ripped at my heart. How was she raised? Did she have parents that advocated for her? Did she have a mentor to show her that life can be good? All these questions swirled in my mind. I work as a deaf/hard of hearing role model with Lifetrack in Minnesota. It is a new groundbreaking program that pairs a family that just got a diagnosis of hearing loss for their precious child with an adult who has hearing loss. They can learn and see that this isn’t a dark road they have to walk alone. These kids can do anything. These children can grab the brass ring like any other child their age. Deaf and Hard of Hearing kids are not a burden because they can’t hear. I have attended many Hands and Voices events and I see children that are full of life and energy and promise not a burden. These children are tought to self advocate. A very hard skill to learn for anyone but they are learning it young. Skills that will take them far. I have learned so much from these young children to young adults, they are remarkable. Bethany of course has mental illness on top of her hearing loss but I just sense it all was a cumulative effect from her hearing and her speech. Did she learn to self advocate, did she have adults that advocated for her as a child? I look into my own life again with a son that has an IEP (Individual Education Plan). He has had an IEP since age 3 and we know he will have one for sure for the next 3 years to 5th grade. We have tried to do the best for him. He doesn’t have huge issues but every smaller hurdle he has we have been there with him. 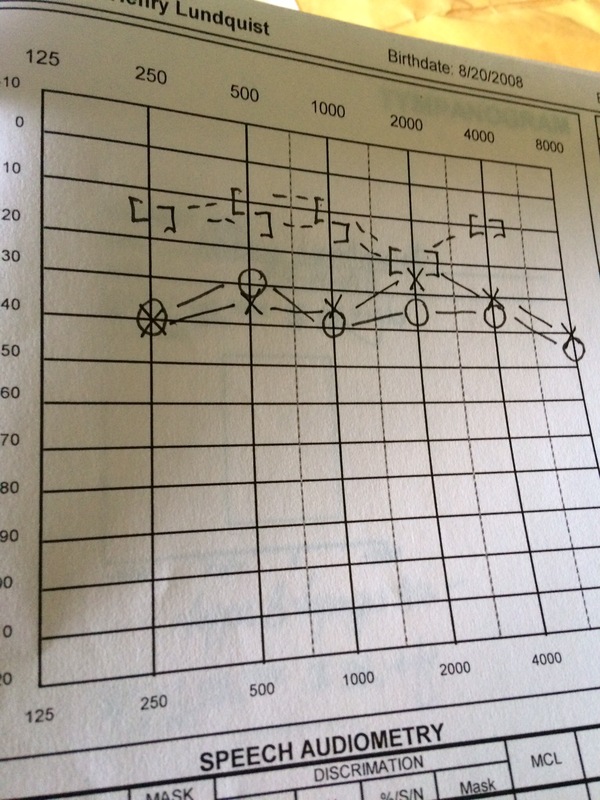 From a fluctuating hearing loss, to being on the Autism spectrum, to learning disabilities. We are helping him and trying to teach him how to self advocate for himself. Advocating as an adult is hard, you put yourself out there and exposed. It is daunting at times but so valuable and needed. People are not a burden. People need a hand at times, people need help. We have a job as a fellow human being to help them. Bethany ended the interview with saying she was sorry. She was sorry for the pain and problems she caused. Dr Phil had the perfect response, you don’t need to apologize there is no need. You have a hearing impairment which lead to speech problems. You never felt like you fit in. You now have a burned face and still show your face and get out there. You are brave and you have grown. Now Bethany can read lips and says she still see’s people saying she is ugly, she is stupid, and she should have died. Please have compassion people, this world would be so different if we can just remember no one is perfect and we are not a burden. We all have a purpose and we are all wonderfully made.